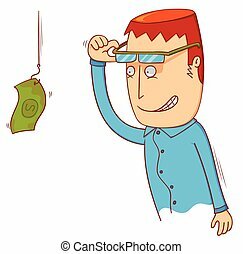 I see money. 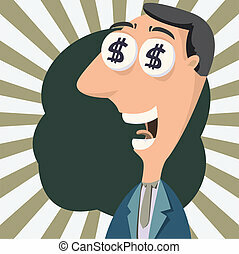 Smiling businessman with gold dollar coins as his eyes. 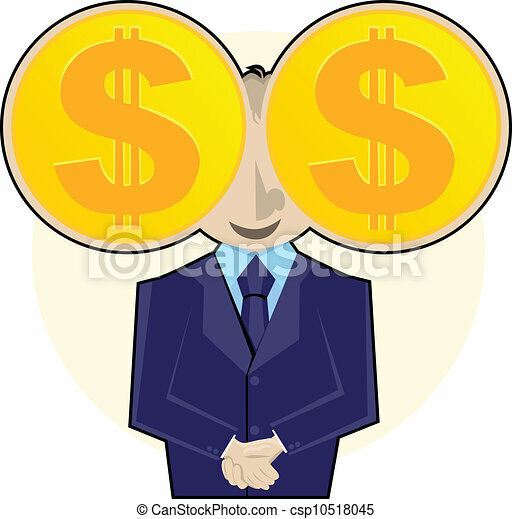 Smiling businessman with gold dollar coins as his eyes. 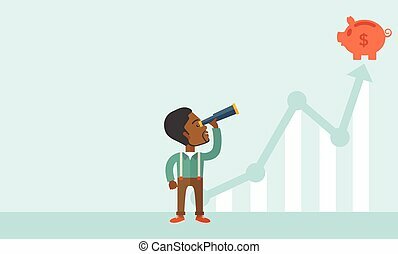 A black guy standing using telescope to see the graph and piggy bank is on the top of the arrow, a sign of progress as business sales is increase. 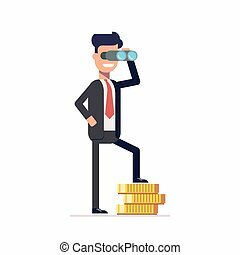 Growing business concept. A contemporary style with pastel palette soft blue tinted background. Vector flat design illustration. Square layout. 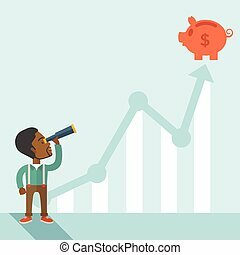 A black guy standing using telescope to see the graph and piggy bank is on the top of the arrow, a sign of progress as business sales is increase. Growing business concept. A contemporary style with pastel palette soft blue tinted background. Vector flat design illustration. 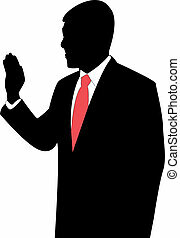 Horizontal layout with text space in lefty side. 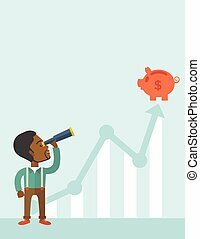 A black guy standing using telescope to see the graph and piggy bank is on the top of the arrow, a sign of progress as business sales is increase. 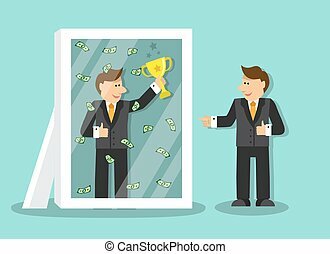 Growing business concept. A contemporary style with pastel palette soft blue tinted background. Vector flat design illustration. vertical layout with text space on top part. 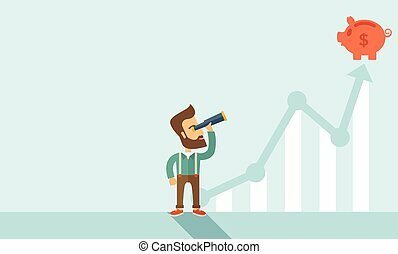 A man standing using telescope to see the graph and piggy bank is on the top of the arrow, it is a sign of progress a business sales is going up. Growing business concept. A contemporary style with pastel palette soft blue tinted background. Vector flat design illustration. Square layout. 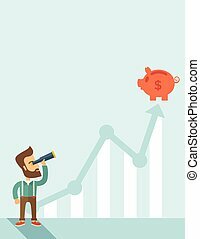 A man standing using telescope to see the graph and piggy bank is on the top of the arrow, it is a sign of progress a business sales is going up. Growing business concept. A contemporary style with pastel palette soft blue tinted background. Vector flat design illustration. Vertical layout with text space on top part. A man standing using telescope to see the graph and piggy bank is on the top of the arrow, it is a sign of progress a business sales is going up. Growing business concept. A contemporary style with pastel palette soft blue tinted background. Vector flat design illustration. Horizontal layout with text space in left side.